Oh my goodness y’all. I keep finding myself browsing the new resort pieces hitting every retailer. I have spring vacations & honeymoon weather on the brain! I figured some of y’all might be in the same boat, SO I’m sharing my favorite resort wear picks from ASOS. You know what that means… they are all SUPER affordable!!! If you like something- go ahead and order it! Sizes sell out really fast at ASOS. Here we go! Stripe Beach Caftan / $34. This caftan is so gorgeous and easy to throw on for any beach vacay! It reminds me of this $250 Lem Lem caftan. Pom Sandal Espadrilles / $35. OMG!!! how ADORABLE are these!!! 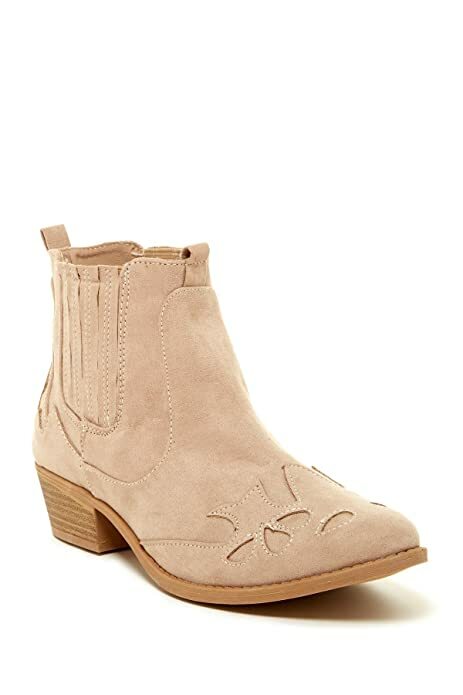 You know I already checked out with these in my cart… these babies are going to be perfect all spring with jeans rolled up & a black long sleeve, AND all summer. Love love love. Can’t beat the price either. Ombre Tie-Dye Beach Coverup / $45. I love this soooo much!! Throw it over your bathing suit for sunset cocktails or a day exploring while on vacation. It’s so fun and I haven’t seen anything else like it! You are bound to get tons of compliments on this fun coverup. Low Back Bright Floral One Piece / $56. Not only do I love the fun colors of this printed one piece, but I LOVE the low back & high neck combo!!! I feel like this would be super flattering. 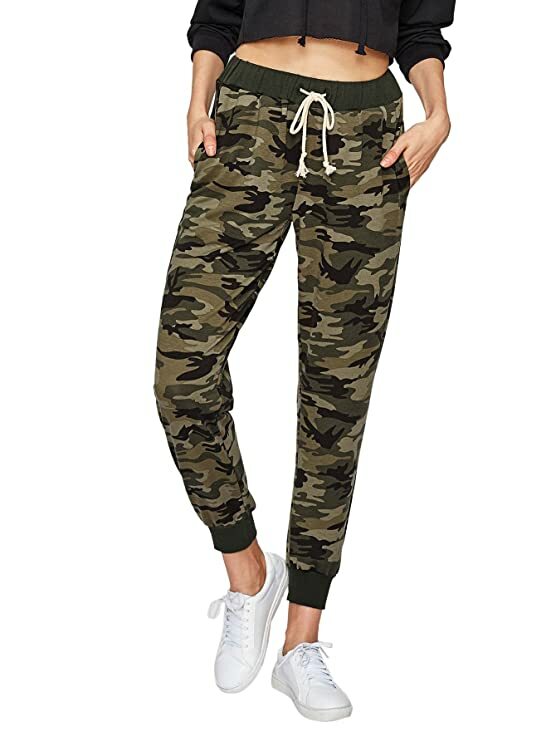 Split Front Beach Pants / $35. I LOVE THESE!!! Omg. I will style them exactly like the pic- with a bikini top and necklace!!! But they would also be cute with a beachy pullover like this. Beachy Striped Two Piece Set / $72. This one is a little pricier, but it comes with two pieces and is so pretty for a beach vacation- I had to share!! You could wear together of course, or you could pair the skirt with a knotted white t-shirt (I’ve been loving these $10 broken-in tees), and you can pair the top with high waisted flare jeans for a fun 70’s look! Studded Closed-Toe Espadrilles / $29. Another pair of adorable espadrilles… I couldn’t choose between the two so I decided to share both! 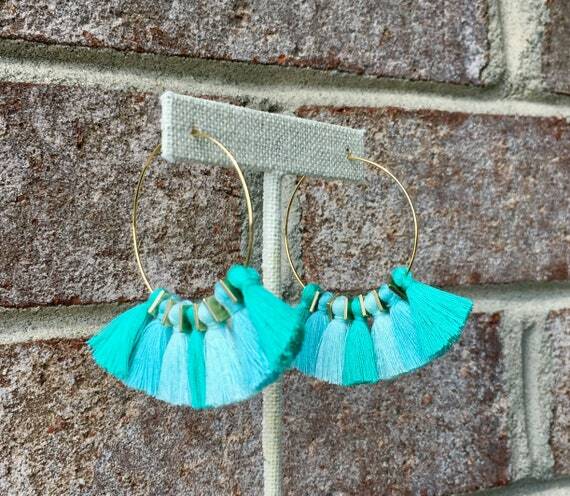 These are great because they can be worn in the chillier spring weather as well as those hot summer days. These are neutral but FUN and can go with anything! Really love these! These go up to size 11. MERRY EVERYTHING, Y’ALL!!!! I am soooo excited for the holidays! One of my favorite parts of the season is picking out the perfect gifts for my loved ones. Today I am sharing my favorite gifts for everyone on your list- all under $100. I’ll start with a handful of gifts that are good for anyone on your list, and then the ladies on your list. In the next week or so, I will also be sharing a men’s gift guide and a stocking stuffer/small gift guide as well. Here we go! Belkin Wireless Charging Pad (Target) / $56. This also comes in black & white color options in addition to this gorgeous rose gold color! So it is a great gift for ANYONE. I have one of these charging pads on my nightstand instead of a normal charger and I LOVE it!! Go read the reviews for yourself- it’s awesome. (Be sure to check that the phone you are buying for is compatible first- this one works with newer iPhones and Samsungs.) Here is another charging pad at a lower price point ($39). Micro Wireless Bluetooth Speaker (Target) / $19.99. This is the speaker I got to take on my bachelorette weekend and it was AWESOME! It’s small, loud, & high quality! Great for vacation and a great gift for anyone on your list! Funny story: my mom got me and my siblings mini portable speakers one year for Christmas. Brenton went on a guys golf trip to Kiawah recently and brought along my speaker. He ended up accidentally leaving my little speaker in the golf cart cup holder at a course there.. lol! So we replaced it with this one and I LOVE it! The point of that story is that EVERYONE loves & uses a portable speaker! I got the fun blue color. Fujifilm Instax Mini 9 Camera / $59. This is an AMAZING gift for anyone on your list!!! I know so many people who have this and it is such a fun way to capture memories. My brother has one and so does my friend Sabrina. Trust me- whoever you get this for will think you are the COOLEST for getting it! I really want one too! Comes in a ton of colors. Don’t forget to add some Fuji Instax Film to the gift ($19)!! Flannel PJ’s (Victoria’s Secret) / $30 today only!!!! My sister and I ordered these ADORABLE PJ’s!!! This set comes in 17 different prints, so there is something for everyone. Amazing gift & price! 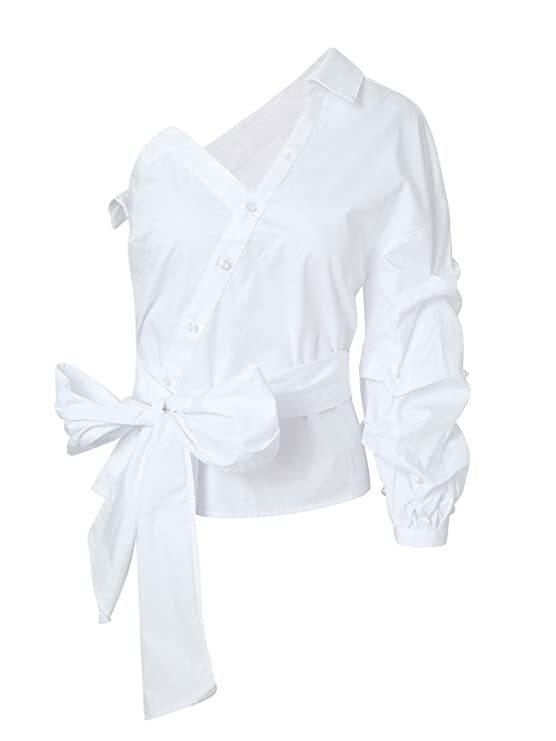 The presentation is so cute for a gift- it comes tied in the cutest bow. If they are no longer on sale by the time you read this, they are still only $59 which is a good price for the quality. And if Victoria’s Secret just isn’t your cup of tea, I also love this sushi set & this “sip sip hooray” champagne set from Shop Bop. Skyline Pom Beanie (Free People) / $48. This beanie is SO CUTE!!!! I have a very similar one from Anthropologie last year that I LOVE & get so many compliments on!!! This one has 5 star reviews & is a great under $50 gift. 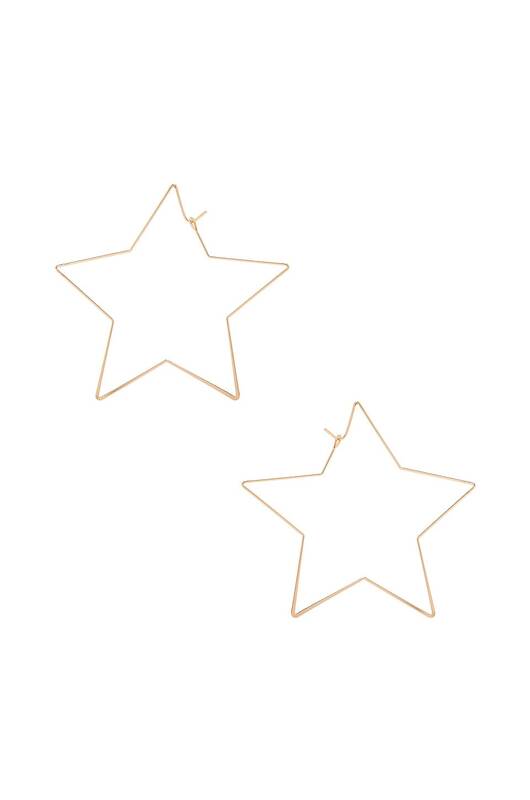 Star Hoop Earrings (Revolve) / $40. 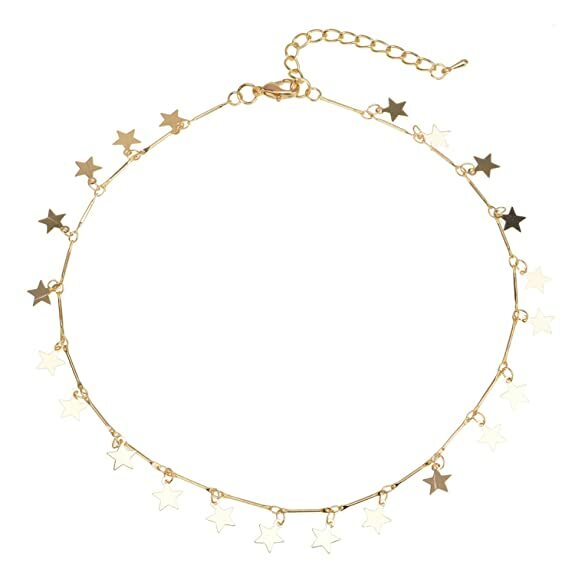 Gold hoops are such a classic gift, and I love this fun twist with the stars! 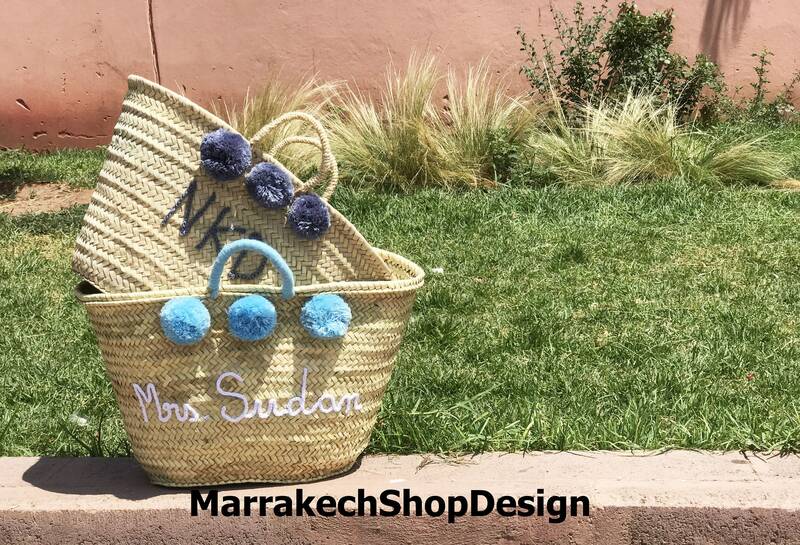 They are so cute & a great gift! Stars are very in style right now ;) also.. I love ordering from Revolve. It is always free 2 day shipping & free returns. That means that these are great for a last minute gift!! Patagonia Quarter Zip Pullover (Backcountry) / $99. This jacket is just under $100 and SO. WORTH. IT!!! It is so cute, high quality, and warm. It is on my wishlist & I know anyone on your list would love it too. I ordered a Patagonia vest for Brenton last year on this website & the shipping was fast & reliable! They offer free 2 day shipping for orders over $50 and have a great Patagonia selection. Definitely consider getting this jacket for a loved one! They will be so excited & get years of use out of it (comes in several colors- consider sizing up based on reviews). Zella Live-In High Waisted Leggings / $54. These Zella leggings are my all time favorite!! I have had them in black for years and it’s probably about time I replace them even though they are still in excellent condition. I am also loving this tan color, and the midnight too! Any lady on your list will love these- trust me! True to size and free shipping. Soleil Tan De Chanel Cream Bronzer (Bloomingdales) / $48. You have probably heard of this product that celebrity make-up artists swear by! I’ve been wanting it for a while, and my bestie Sabrina just got it and confirmed that it really is THAT good! This is a great gift for any lady on your list because it’s not something that you would typically go out and spend money on yourself. And who doesn’t love Chanel?! Frosted Plush Robe (Nordstrom) / $79. I saw (and felt!!!) this amazingly soft robe at Nordstrom today, and knew I had to add it to this gift guide!! I don’t think I’ve ever felt a robe so soft. No surprise that when I went to find it online, it has 40+ 5 star reviews! I have this very similar cozy short robe from Victoria’s Secret, but it is only available in size M/L. NARCISO RODRIGUEZ perfume (Nordstrom) / $82. Style Your Senses posted about how this is her favorite perfume so I check it out and OMG! This is now on my Christmas list!! Hint, hint Brenton if you are reading ;) lol. You really cannot go wrong with nice perfume as a gift!! Relaxed Soft-Brushed Twill Shirt (Old Navy) / $28. If you follow me on Instagram, you know how much I love this shirt!!! It’s amazing quality (reminds me of $160 Rails shirts!!) and the fit is amazing. This is a great gift if you are on a budget or to add into the mix of other gifts! Pile-lined Parka (H&M) / $59. I got this amazing black parka last year and it has been one of my favorite jackets ever. It is well worth the price- I would seriously pay at least twice the price for this jacket. 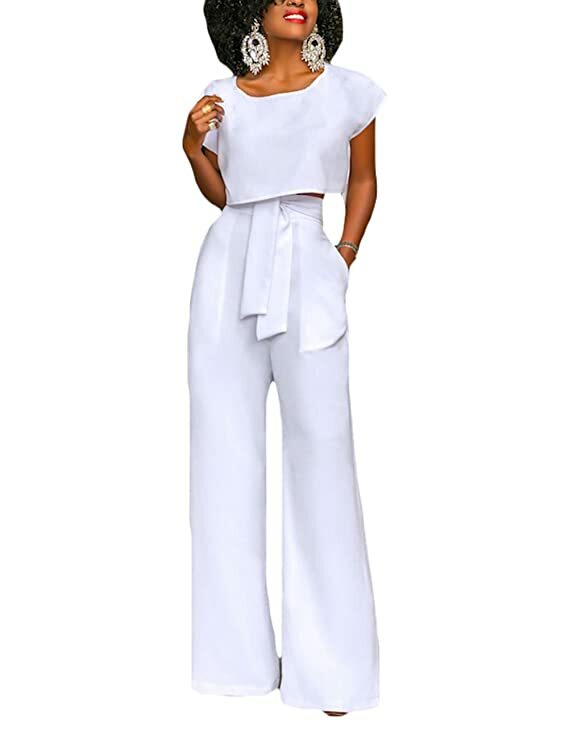 I love the fit (super flattering with the drawstring option at the waist!! ), comfort and warmth. The hood is so stinkin cute- the pictures do not give it justice. I have it in a size 6, so I would suggest sizing up one from your normal size (I’m usually a 4). This parka also comes in 5 other colors! A great gift that anyone on your list will love. Just a note- it is pile lined throughout the body, but not the arms! Perfect for Carolina winters. Hi guys!!! Just going to jump right in with my Black Friday picks! These are all items that I actually own already or have already ordered for Black Friday!! Organizing by the retailer, and you can click the retailer name to go to their home page! Happy shopping!! OLD NAVY– 50% off your entire purchase + free shipping. They also have a great men’s selection, and some of the cutest holiday pajamas!! Sherpa Pullover / $20. OMG obsessed! They only had a medium in store (I’m usually a small), but I got it and love the oversized fit. Many color options. Pink Sweater / $15. Got this is pink and as a gift in the black and white ribbed version! I sized down to an X Small for a snug fit. So cute. White & Blue Button Down / $12.50. This looks and feels EXACTLY like Rails brand!!!! And about $100+ cheaper. I sized down to an X Small in this too. Sherpa Lined Black Denim Jacket / $27. Unreal deal for this jacket!!!! So obsessed. Got my normal size small. Long Open-Front Heavyweight Sweater / $25. Okay this is one of my favorites!!! It isn’t TOO heavy but definitely heavy enough for the Carolinas with a long sleeve shirt and scarf. Doesn’t look like much online, but it is such high quality and lays so well on- I couldn’t even believe it. Definitely snag one of these! Long Line Shaker-Stitch Open Sweater / $25. This is another one that doesn’t look like much online, but is gorgeous and such high quality in person!! I got this as a gift for someone. Love it! Check my Instagram stories to see how this it looks in person. 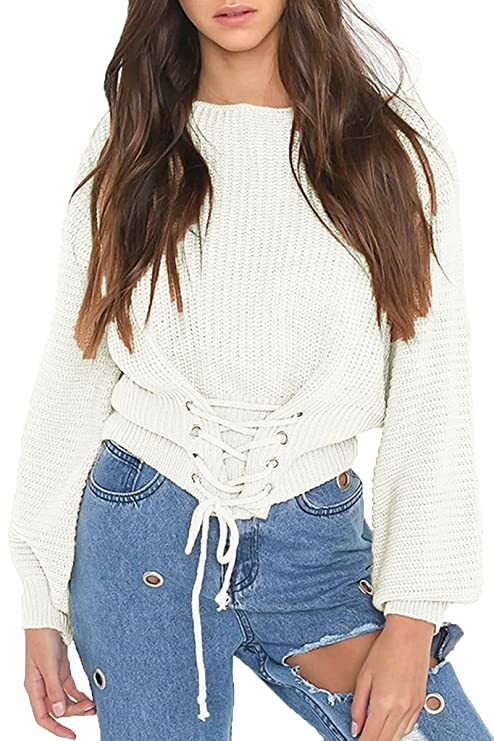 Textured Crew Neck Sweater / $17. Omg I am so in love with this!!! I layered it on top of the red flannel that I linked earlier in the post. Definitely high quality and good fit. Patterned Fleece Blankets / $5. I got two of these- one in the red plaid and one in the black plaid! I am giving one to our puppy, and the red one I am going to use for holiday decor! Would be great gifts!! NORDSTROM – They have some of my favorite pieces I own on sale for Black Friday! Easy Stripe Pullover / $40. I have this in ivory in size small! 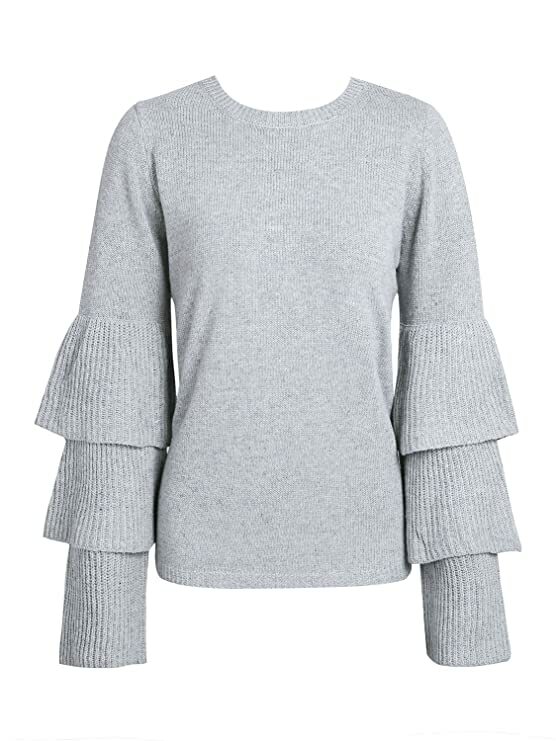 They only have black available, but it is a gorgeous sweater. Spanx Faux Leather Leggings / $78. These are amazing and I’m sure you’ve already heard all of the good things about these from EVERY blogger, but I seriously live in these during this time of year!! They do great things for your booty and legs.. lol! TopShop Jamie Jeans / $42. My favorite jeans of all time!!! High waisted and VERY flattering. Size up one size. V Neck Sweater / $23. I bought this full price last month and LOVE it! 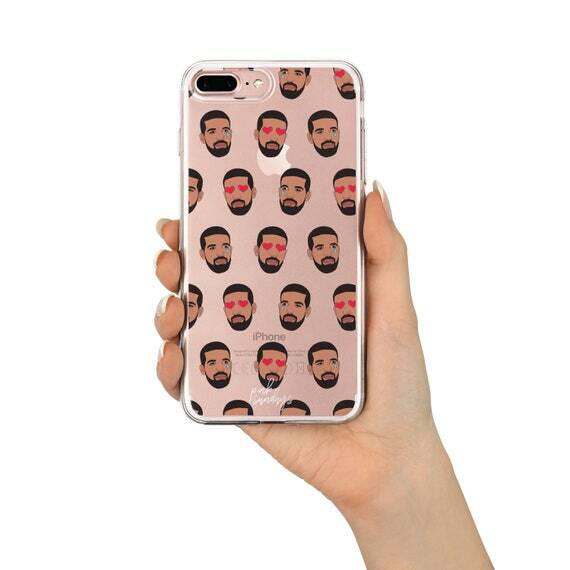 For $23 and free shipping… it’s a must! I will be adding to this list throughout the rest of the day, but these are my top picks that I own and are on sale for Black Friday!! PUBLIC DESIRE- 30% off! Use code CYBER30. 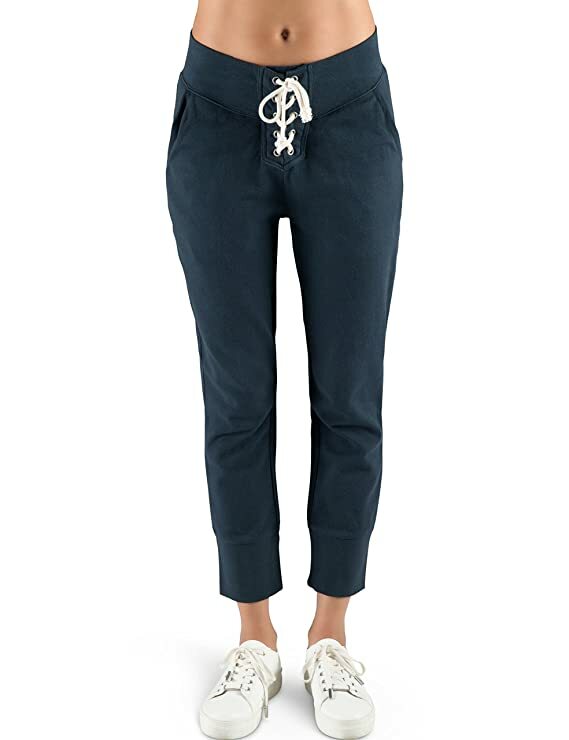 AMERICAN EAGLE / AERIE– 40% off! Great deals here! This is the stuff I ordered..
Camo Print Blanket Scarf / $15. I love this for so many reasons… but mostly because it’s CAMO! My fav!! Tie Back Sweater Dress / $29. I love this dress with over the knee boots!! The reviews are great and say to size down, so I did. Comes in other colors too. Plush Hometown Sweatshirt / $25. I love this sweatshirt and it comes in so many different colors!!! Great for a gift! Looks soooo soft and has great reviews. Hi guys!!! If you watched my IG TV video about my first “big girl” make-up kit, here is the product list and links for everything! Every link will take you to a retailer that carries the product + offers free shipping & returns! Instagram linked here. MAC 134 Powder Brush- This is SOLD OUT everywhere!!!! And I think it’s discontinued… I can only find it on Amazon being sold for $120… Here is my favorite Sigma powder brush! MAC Split Fiber Eyeshadow Brush (233) is SOLD OUT! But here is a similar MAC brush that’s great when using darker shades.